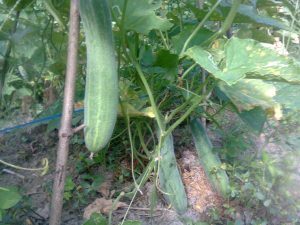 Cucumber is a kind of plant under curcutabicaeae. This plant has tendrils on its axilla. In reality, farming cucumbers is a pretty easy business as long as you act effectively, diligently, and patiently. 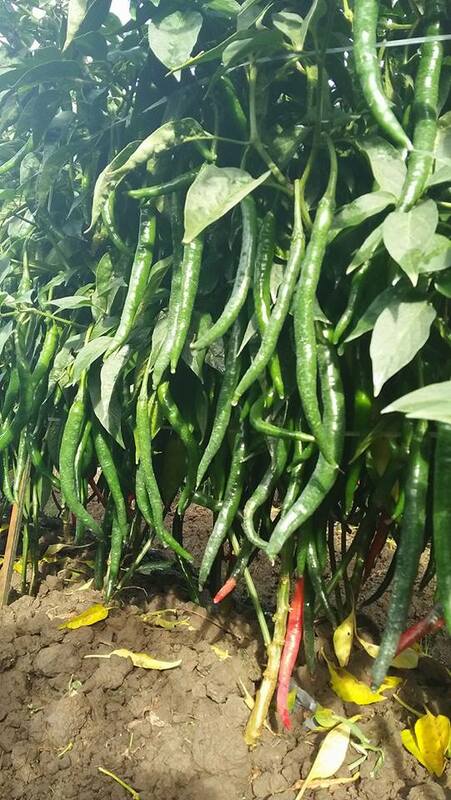 As I said, taking care of cucumber crops is pretty easy, for most conventional farmers in the rural area, this includes: watering, fertilization, harrowing and weeding, pest and disease controlling, and other efforts to maintain good water accumulation in your soil like land irrigation. Bad growth on a cucumber plant because of pests and diseases. Photo by: Wahid Priyono, S.Pd (admin tipspetani.com). Cucumbers really need water. Water is used as a natural solvent and it is also used as a help in plant cells’ metabolism. If your cucumber lacks water, the organ growth will not be optimum. You should water your cucumber crops when your farmland is very dry or you can do it while you irrigate your land. The best choice of fertilizer to use on the early farming process is the organic fertilizer made of chicken manure or goat manure. Both of these fertilizers contain a lot of nutrients, for example it is high in Nitrogen that can quicken cell division in meristematic area. If your cucumber crops have started to bloom, it is best to use non-organic fertilizer like urea, TSP, KCL, or others. Remember to watch the dosage and frequency that you use when you fertilize your cucumber crops. Harrowing is something farmers done to get finer, looser soil for farmland in order to get optimum water absorbance. Meanwhile, weeding is done to make sure your farmland is free from weed that can endanger your crops’ growth. The tools needed could range from small hoes to your own hands. Pest to watch out for in your cucumber farm is armyworm. Armyworm is easily taken care of with pesticides, or if the scale is still small, you can simply throw out infected leaves. I hope this is what you’re looking for, have fun gardening! read more guys: Pest Management of Cocoa Pod Borer In Agriculture.